The sheer amount of work involved with running a business can be overwhelming, and most entrepreneurs are constantly looking for ways to streamline their workflow and increase their efficiency. One of the best techniques is called ‘batching’, and it really is amazing just how much you can get done using this method. Multitasking is terrible for your productivity. Your brain can actually only focus on one thing at a time, so whilst you may think that you’re being more productive by doing two or more things simultaneously, what you’re actually doing is constantly switching your focus from one thing to another. Not only does this use up an enormous amount of energy (resulting in mental fatigue), it also dramatically lowers the quality of your work. 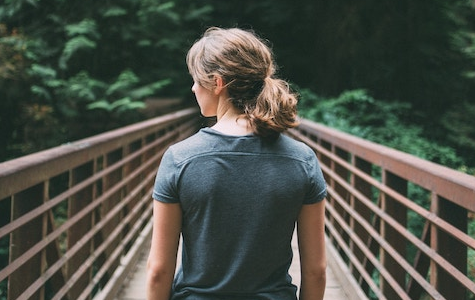 It takes several minutes for you to regain focus each time you get interrupted, whether that’s an external interruption, such as an email notification or someone dropping by your desk, or an internal interruption. You know when halfway through writing a blog post you suddenly remember you need to call someone, and then during the call you realise that you actually need to send an email to a third party to resolve the issue. Then when you open your email you see an urgent message that you need to take action on immediately, and so on, and so on. How much time are you losing every day because of scenarios like this? 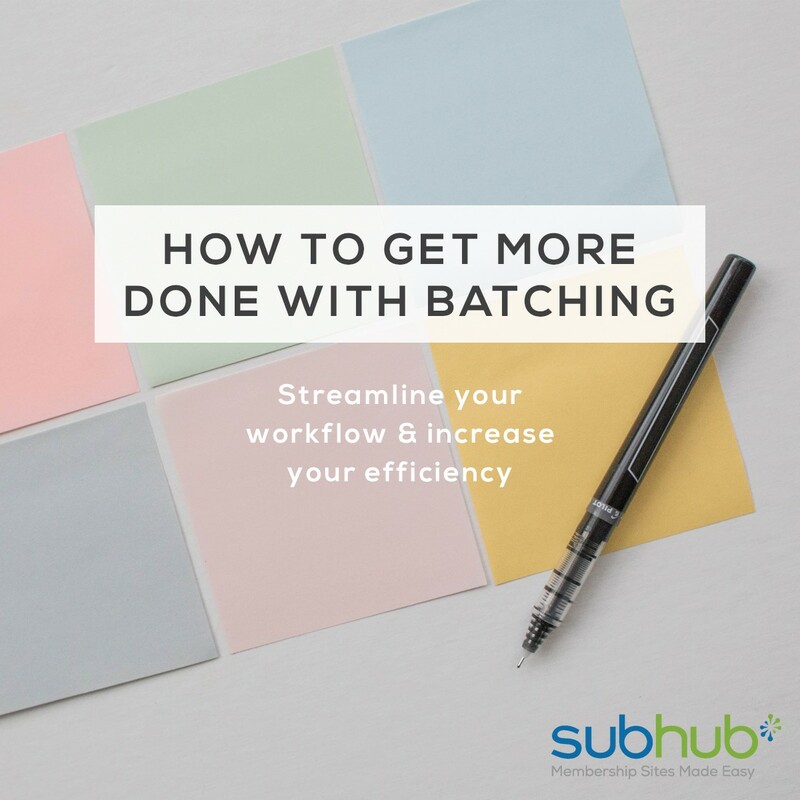 When you work in batches, you get far more done because you’re able to focus 100% on just one thing. You can get into a steady rhythm – a sort of ‘flow’ state – and all of your mental energy goes into the one task you’re attempting. Not to mention the time and energy it takes to get things like photoshoots or video recording set up. Batching tasks like this saves so much time, because rather than getting your ‘set’ and equipment out once a week, for example, you can do it once and you’re done. Let’s use blog posts as an example. How long does it usually take you to produce a blog post? That’s a very basic list, but that’s already seven separate tasks, all requiring different programs and apps, different skill sets, different processes. When you do these in order, one post at a time, it’s going to take you at least three hours, switching between the different programs, waiting for things to upload, switching your brain from creative writing mode to design mode to tech mode. Not good. However, with batching, you can reduce that time significantly. Let’s look at creating a month’s worth of content, say one post a week for four weeks. If you tried to do that one step at a time for each post, then it would take you around 12 hours to create a month’s worth of content – and that’s not even taking into consideration the time lost from interruptions and distractions! If you tried doing this the batching way, however, then that time goes way down because you can stay completely focused and in one specific ‘brain mode’, creating flow. In your first batch session, you’d sit down and draft the posts, one after another. Remember – no interruptions allowed, lock the door and turn off your phone. Then, in the next session, you’d edit all the posts. Thirdly, you’d go through your image bank and choose photos to accompany all the posts, then open up Photoshop or Canva and edit them all, and so on, until all four posts are done. Because you’ve batched all the jobs needed, you now have a whole month’s worth of content created, and it’s only taken you one day. I estimate you can get this done easily in one eight-hour work day using this method – that’s a time saving of four hours! And as an added bonus, you now don’t need to think about blogging for the rest of the month, leaving you free to focus on the money-making activities in your business. I recommend you schedule in at least two batching days per month, and treat them as non-negotiable. Afford them the same level of respect on your calendar as an important client meeting and hold yourself accountable. Your productivity will go through the roof. Why not give it a go and see how it works for you?